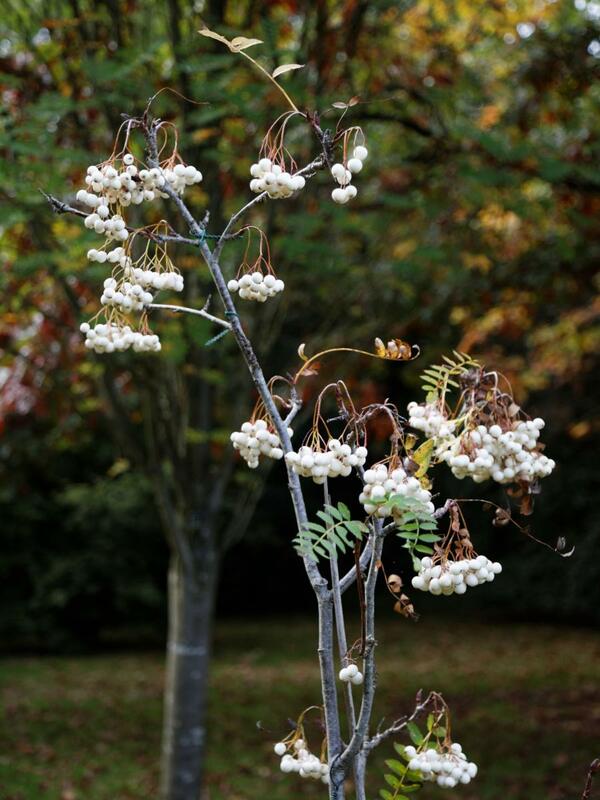 Sorbus cashmiriana is a lovely shapely small rowan tree from northern India, this species has only been cultivated for 60 years or so, but is popular and a talking point whenever seen. 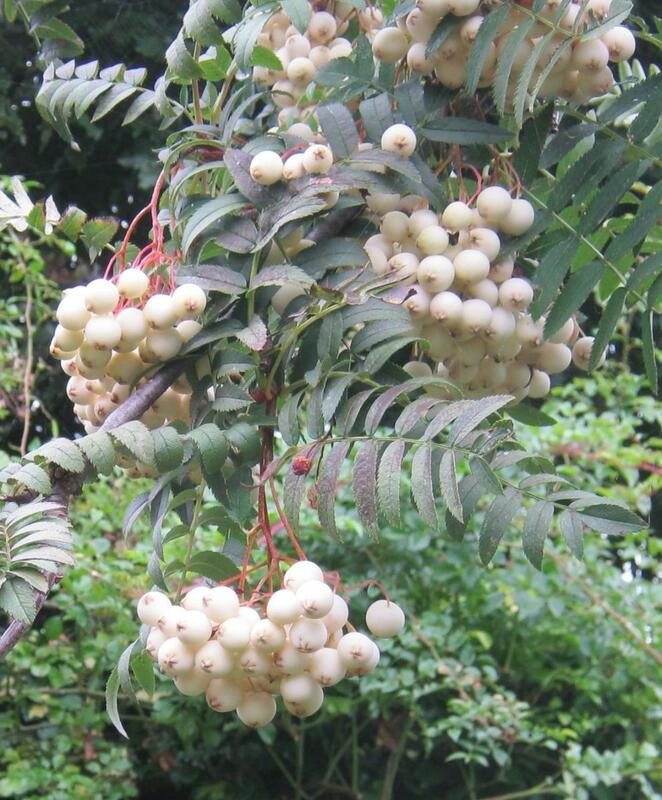 It is a notable species for its autumn display of shining white berries in huge drooping clusters of 30 or more, particularly conspicuous once the yellowing autumn leaves have fallen in October and lasting well into winter. The tree itself is open and graceful, with elegant compound, divided, leaves that are strongly serrated. 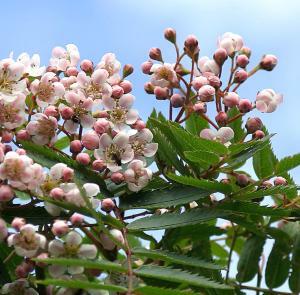 The flowers are the typical rowan shape, but a beautiful apple blossom soft pink rather than white. A choice plant too rarely offered. Our plants are seed raised and evidence suggests that these do grow better that grafted plants. The Royal Horticultural Society has given it its prestigious Award of Garden Merit (AGM).